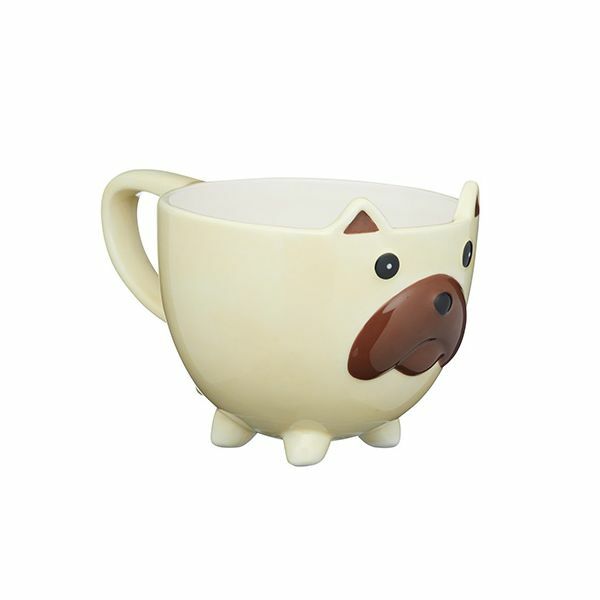 This KitchenCraft wide brimmed novelty dog ceramic mug is ideal for drinking your morning tea and coffee with this fun design. This novelty dog mug is great for giving as a gift to friends and family, especially dog lovers. The novelty dog mug has a capacity of 350ml.